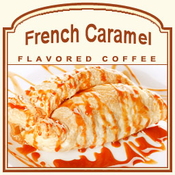 French Caramel is a fancy flavored coffee with its authentic caramel taste, which is why this coffee is perfect for those that love sweet, melt-in-your-mouth caramel treats. Made with 100% real Arabica beans, this gourmet French Caramel coffee will take you away on a French vacation with its loaded sweet flavor. As you indulge in this luxurious and well-blended French Caramel treat, you can let the strong aroma carry you to the streets of Paris. With only 2 calories in each cup, this is a French Caramel treat you will feel guilt-free about. Roasted and shipped on the same day, the French Caramel flavored coffee is perfect for anyone that likes their flavored coffee creamy, smooth, and full of soft, caramel undertones. 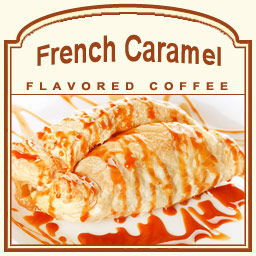 Packaged in a heat-sealed valve bag, the French Caramel flavored coffee will hit the spot with its lingering aftertaste.